One of the fundamentals of actor training is scene entrances and exits. Good actors know their entrances and exits are what will be remembered, and that holds true in your career as well. 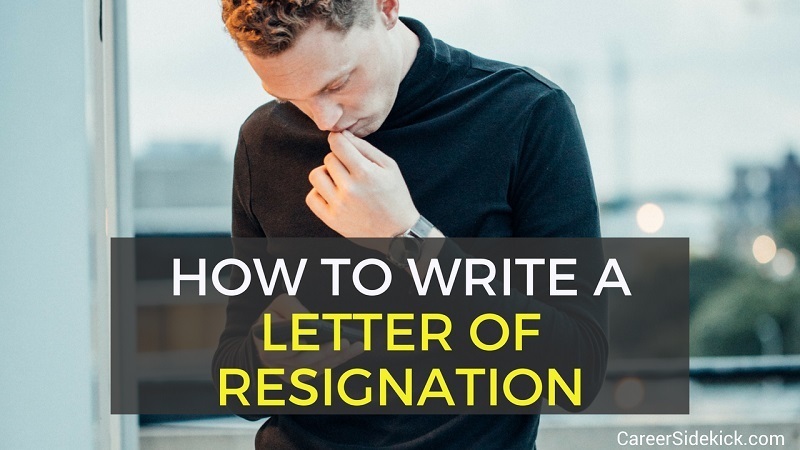 So in this article, we’ll look at how to write a great letter of resignation (and how to hand it in to your boss). Even if you’re excited to leave an employer, you should make sure your final exit enhances the scene, and leaves everyone happy with your performance. You never know when you’ll run into some of these same people later in your career. First things first. The best practice in giving notice to your employer is first to inform your manager privately and in-person, then deliver the letter of resignation shortly afterward. But before speaking with your manager it is good to have command of your lines. Your resignation letter can be the script you use for this conversation. The first paragraph should get straight to the point. State politely in a declarative sentence your intention to resign. Include the position you are resigning from, and most importantly, your last date. Mentioning your reason for leaving is optional, and is most commonly included when relocating, returning to school, or for a reason that is neutral or doesn’t represent a competitive threat to the company. Offer a genuine thank you for the opportunity, and include a brief reflection on what was particularly meaningful, enjoyable, or valuable to you. If you are feeling grateful only about leaving, remember that few employment situations are all bad. Chances are you picked up some skills that will serve you well later in your career. Show some class about it. Offer to assist in the transition, but don’t set yourself up to over-promise and under-deliver. The most important things are to show your employer your willingness to (1) wrap up any outstanding business, and (2) play your part in helping both your manager and replacement succeed in the space you are vacating. Check out some letter of resignation samples (via a Google search) if you are struggling with getting started or finding the right words, or if experiencing an unusual situation. The thought of discussing your resignation with your manager can cause a lot of anxiety. But if you’ve played your role well up to now, your manager will be genuinely sad to see you go, but will greatly appreciate being the first to hear about it. Your manager will also value the opportunity to share some personal time with you before you leave. If you’ve prepared your lines, the conversation will likely flow quite smoothly. Occasions to improvise will present themselves naturally. Rather than being awkward, it will more likely reinforce that you and your employer have been good for one another. Schedule your announcement to your manager as its own separate meeting, with no other agenda. Don’t append it to a standing or regularly scheduled meeting. Try to schedule a morning meeting, or at a time when your manager arrives at the office. Doing so alleviates anxiety that can build throughout the morning or during lunchtime. It also minimizes the risk of the manager leaving the day early, especially on Fridays, when a lot of people give notice. Cover the important parts of your script before going off-script. Take some time to express genuine appreciation for working with everyone and the opportunities that were afforded you. Show gratitude, bring up a few highlights, and reflect on where it’s been a win-win. Offer to help out with the transition. Be straightforward about your post-departure plans if asked, but avoid going into detail. Deliver your letter of resignation as soon as possible after the meeting, and include any needed changes. In most cases, a resignation is not official until the letter is received by HR. Your letter of resignation remains in your personnel file permanently. It may be referred to in the future, in giving references or even if you are rehired. Therefore, it is important that it be highly professional and positive, just like your resume and cover letter. Handle your letter of resignation like any other piece of your job search, and look at it as one final opportunity to show that you are a class actor, and a class act.